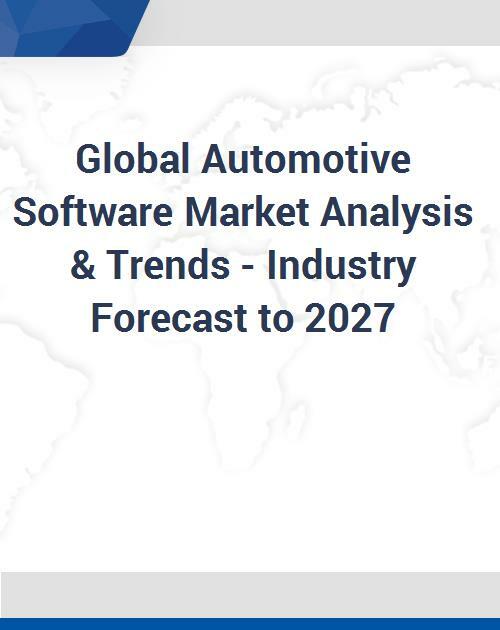 The Global Automotive Software Market is poised to grow strong during the forecast period 2017 to 2027. Some of the prominent trends that the market is witnessing include Advancement of Container Technology In Software Development, Rising Use of Agile Application Development Methodologies and Virtualization Software to Enable In-Vehicle SoCs To Host Multiple OS. Based on Product, the market is segmented into Middleware, Operating System, and Application Software. By Electric Vehicle, the market is segregated by Plug-In Hybrid Electric Vehicle (PHEV), Hybrid Electric Vehicle (HEV) and Battery Electric Vehicle (BEV). Based on Vehicle Type, the market is categorized into Passenger Vehicle and Commercial Vehicles. Moreover, Commercial Vehicles is sub segmented into Heavy Commercial Vehicles and Light Commercial Vehicles. By Application, the market is segregated by Chassis, Telematics Systems, Powertrain , Systems, Safety & Security Systems, Communication Systems, Adas & Safety Systems, Infotainment Systems, Body Control & Comfort Systems, Body Electronics Systems, and Other Applications.